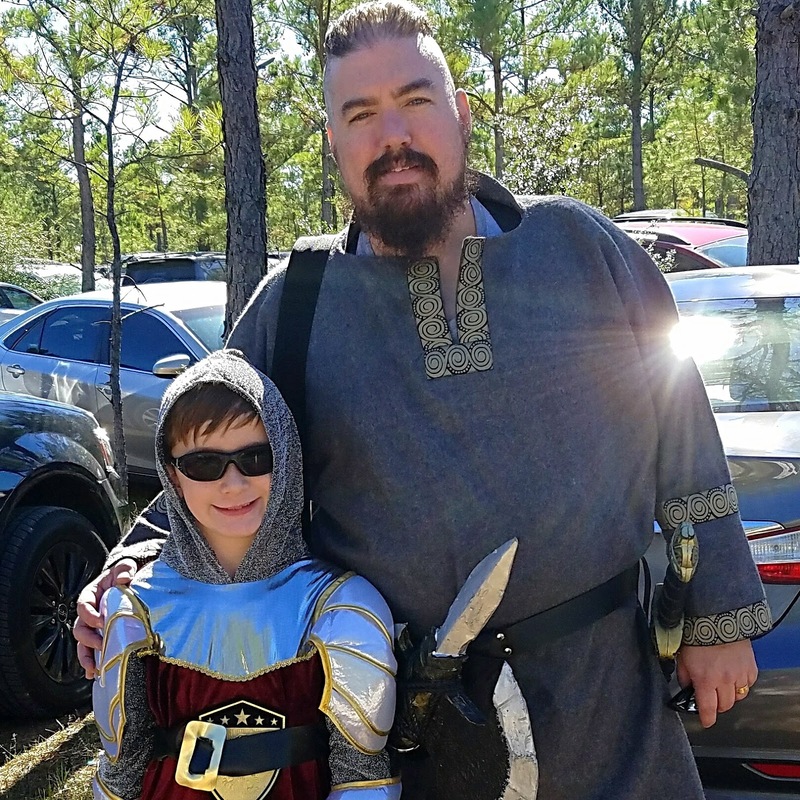 As part of our new family mantra to share more adventures together, we jumped into our car and hit the Texas Renaissance Festival this weekend. The Festival runs every weekend in October and November, but I honestly never thought that we would be able to go, because most weekends we had soccer games, and we take those sorts of team commitments seriously and show up ready to play. However, once I looked over the schedule, I realized that there was an open weekend in November where no games were scheduled. 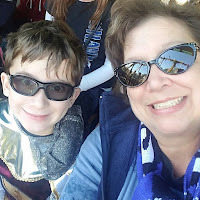 Most soccer moms will understand that the rare, rain-free, soccer-less weekend is a gift to be grabbed with both hands. 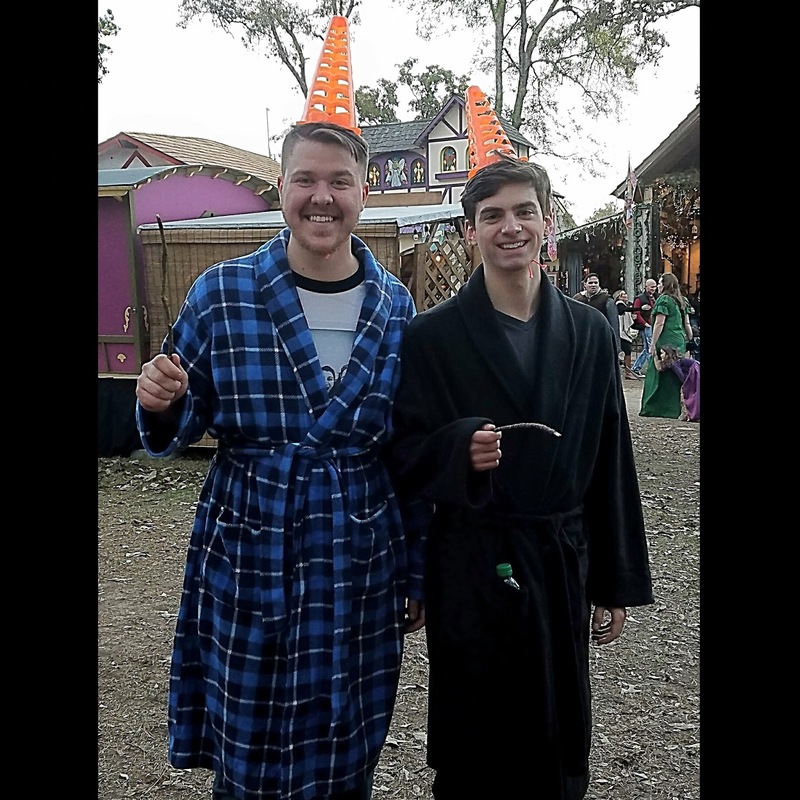 "What if we go to the Texas Renaissance Festival?" I asked Larry. "You could wear your Viking costume from Halloween." This got Larry's attention; he is of the strong opinion that anything done is best done wearing a Viking costume. He was in. Zane was skeptical, until we mentioned that we'd be staying in a hotel. Zane loves staying in hotels. I booked the room, purchased the tickets, and we were off. Three hours later, we arrived close to the middle of nowhere in the Piney Woods of East Texas to find a long line of cars with the same idea in mind. Zane and Larry put on their costumes, and we walked a short distance to the gates, where men in Beefeater costumes were waiting. We saw lots of people in costume, but there didn't appear to be a rule about said costumes actually being from the Renaissance. In fact, there were lots of Steampunk costumes and more than a few Furries. There were Barbarians, and lots of fairies, their wings all aglow. 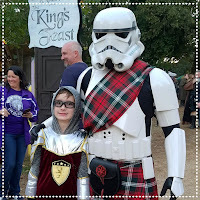 There were even Stormtroopers, from the Highlands of Scotland. We had a great time, but as we walked back to our car, Larry mentioned that we hadn't seen everything. There were parts of the grounds that we wandered past, apparently, which is why it is always good to have a map. I had also wanted to see the glassblowing and the blacksmithing, as well as some woodworking, things that nine year olds do not normally get excited about. We thought about going back on Sunday, but Zane had developed a cough, so we headed home. "We could come back next year," I said, outlining a basic plan for a weekend stay. I might wear a costume this time. If I can find a Renaissance outfit that comes with a tiara. 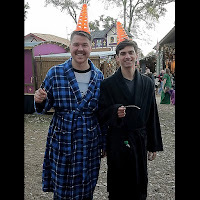 Besides, I need to see if these guys managed to ever purchase actual wizard's clothing(they're "wizards on a budget")! It sounds like so much fun. It was, although next time, I want to do more browsing in the shops!